Clean and peel the squash. Then add squash, eggplant and tomato into thin circles. 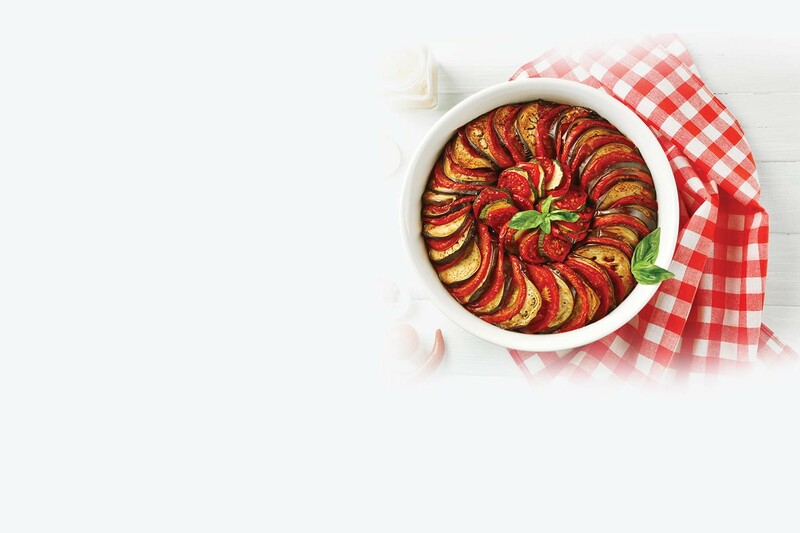 Place the vegetables in an overlapping circular pattern on top of the sauce, alternating the eggplant, squash and tomatoes. Drizzle the remaining olive oil over the vegetables then sprinkle spices over entire mixture. Bake for approximately 45 minutes or until vegetables are tender, but still hold some of their form.